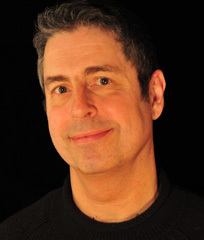 John Costa received his DMA from The University of Michigan (1994) where he has been a recipient of the Regents Fellowship, The Christine Rinaldo Memorial Scholarship, and The Eugene & Sayde Power Fellowship In The Performing Arts. His teachers have included Fred Lerdahl, Michael Daugherty, George Balch Wilson, William Albright, Eugene Kurtz, and William Bolcom. He has been a Fellow at The Composers Conference at Wellesley College, The Festival at Sandpoint, The Tanglewood Music Center, and The Charles Ives Center for American Music. He is the winner of the 1990 Georges Enesco International Competition and was a recipient of the Charles E. Ives Scholarship given by The American Academy of Arts & Letters. He was also a finalist in the Sigwald Thorson International Orchestral Competition sponsored by the Fargo Moorehead Symphony. His orchestral works have been performed by the Utah Symphony, the Utah Youth Symphony, The Memphis Symphony, the Cleveland Chamber Symphony, and at The Spoleto Festival by the Charleston Symphony Orchestra. His chamber works have seen numerous performances throughout the US. He was the recipient of two artist’s grants from the Utah Arts Council and has received commissions from the Prism Saxophone Quartet, the Phantom Arts Ensemble for New Music, the Utah Youth Symphony, the Nova Chamber Music Series, the Barlow Foundation, the Cleveland Chamber Symphony, and the Utah Arts Festival for the Utah Symphony Orchestra. He participated in the American Composers Forum’s Orchestral Reading Project where his second orchestral work, ALLURE, was read and recorded by the Plymouth Music Series Orchestra in Minneapolis. He was also a recipient of the Norton Stevens fellowship at the MacDowell Artist’s Colony. John Costa is an Assistant Professor/Lecturer at The University of Utah. He serves on the board of directors for the Utah Arts Festival and is co-director of the Festival’s National Composer Commissioning Program.